FoodChain ID provides certification and technical and testing services and solutions for food, feed and agricultural companies across the world, helping them to meet the demand for clean label standards in this increasingly regulated industry. With expertise spanning more than twenty years, Foodchain ID provides the knowledge, technologies and tools necessary to meet the higher levels of transparency, accountability, safety and sustainability in the food industry through certification and technical and testing services. Today, Foodchain ID’s global spans over 100 countries, with more than 30,000 companies relying on their industry-leading solutions. When they got in touch with us, they were keen to consolidate their four websites and service lines into one overarching brand, to improve the overall brand and most importantly, to increase traffic, conversions and marketing clout. With offices in the United States, Brazil, France, Spain, Germany, Italy and India, we were engaged to help build a multi-language multi-site, to assist users in various countries in finding what they want, when they most need it. 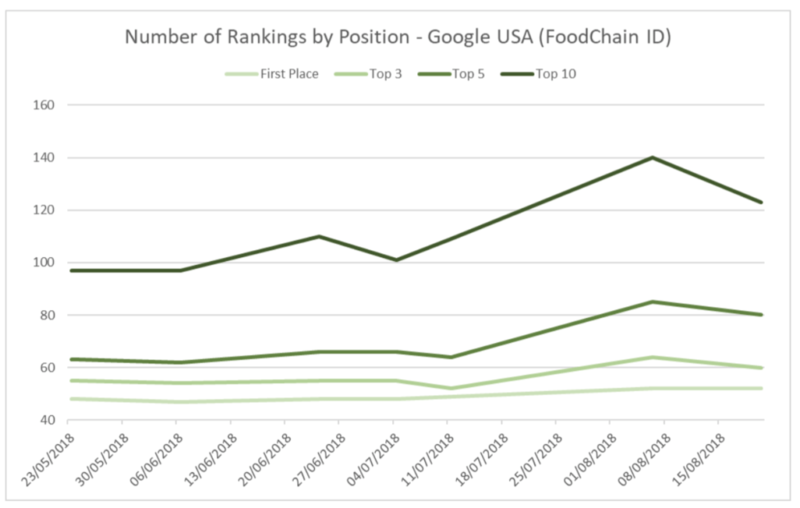 Foodchain ID, formerly known as Global ID, Cert ID, Genetic ID and Foodchain, were looking to streamline their offering, by consolidating all brands into one over arching brand that could be the base for all of their customers. 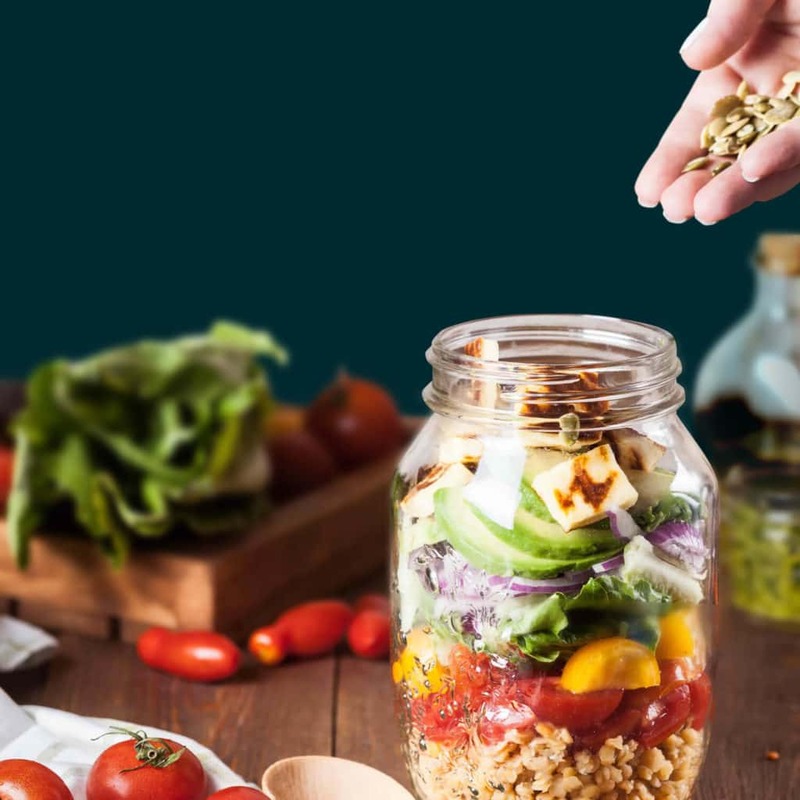 Foodchain were looking for a slick design that promoted their message through a more user friendly journey, as well as catering for all different nationalities. To achieve this, we used WordPress Multi Language (WPML) to cater for the multi-site with multi-language integration, and designed a language picker accessible to everyone. We also to set up Pardot/Salesforce integration across all contact forms. This serves as tracking and provides insight into all conversions and submissions. 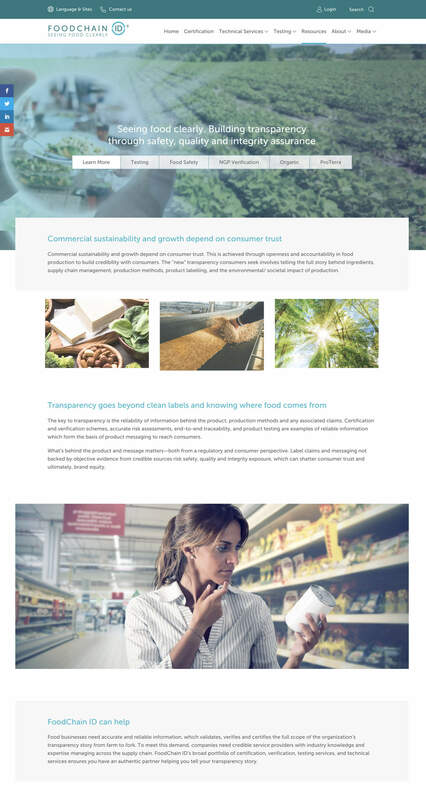 Our design and development team worked hard to create a multi-site that Foodchain ID could be proud of. We saw it as imperative that the client was able to edit the site with ease and without fear that they would break anything. To this end, we built numerous flexible content blocks that serve as easy to edit modules. Due to the amount of stakeholders involved, we needed to ensure that the CMS would work flawlessly and that our training was as clear and concise as possible. 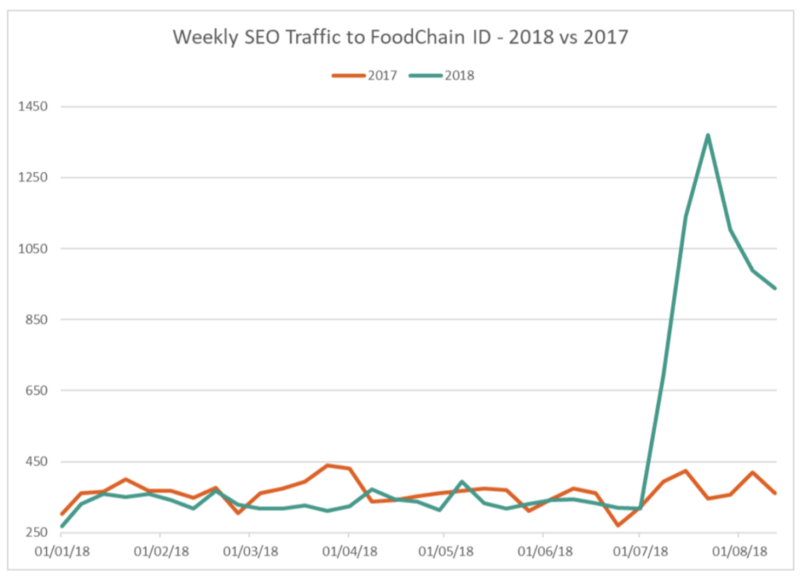 Foodchain’s ultimate goal was to gather more users across the globe, to create further conversions and target specific users with relevant marketing material. At the time of writing, the new site has been live for two and a half months. Through solid SEO and significant improvements to the user experience, there has been a big increase in rankings and traffic since the site was launched. This is quite rare with such large redesigns. As you can see from the graphs below, there has been a steady increase in Google rankings by position and there was a sharp increase in weekly SEO traffic in July 2018, when the website first went live. Of course, we’re looking to maintain this steady rise. We are extremely proud of the training we carried out with all primary Foodchain members of staff across the globe. With the help of very well developed, flexible content modules and extensive training sessions we have coached a core team of Foodchain employees, who are now confident in their ability to edit the website with ease.